I always enjoy finding new desserts to satisfy my sweet tooth while providing my body with proper recovery fuel. When Minimalist Baker posted this recipe I couldn’t wait to try this alternative to my beloved Avocado Chia Chocolate Mousse. This rich, creamy pudding loaded with protein and healthy fats surely didn’t disappoint! It tastes great as is, but for an extra indulgence add some coconut whipped cream and peanut butter drizzle, or fresh fruit. A rich and creamy pudding high in protein and healthy fats. Add raw cashews to a mixing bowl and cover with boiling hot water. Let set for 1 hour, then rinse and drain thoroughly. Add to blender along with remaining ingredients and blend until creamy and smooth, scraping down sides as needed. Scoop pudding into serving containers and cover. Chill in the refrigerator until cold and thickened – at least 2-3 hours. Serve as is or with my favorites: coconut whipped cream, peanut butter drizzle, or fresh fruit! 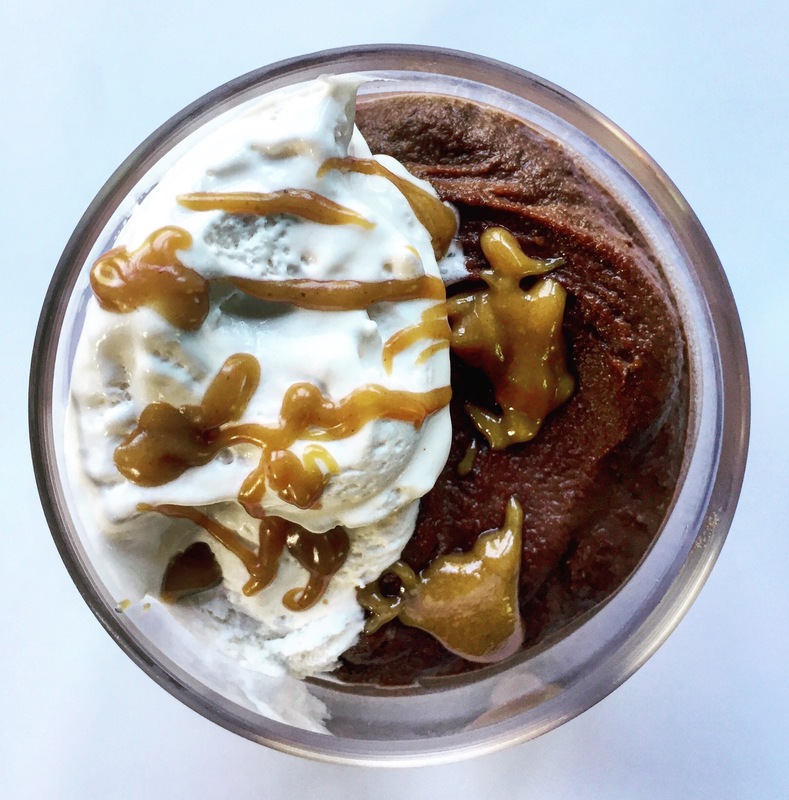 This entry was posted in Friday Fuel, plant based nutrition, vegan nutrition and tagged #FridayFuel, athlete fuel, Minimalist Baker, plant based athlete, plant based nutrition, vegan, vegan athlete, vegan nutrition, vegan protein pudding by lljkline. Bookmark the permalink. Do you believe that fair trade cashews are also blood cashews?